Kahata’s stay at Kogalo has been in doubt with various reports suggesting that he has not been happy with his role as a substitute and was seeking a move. 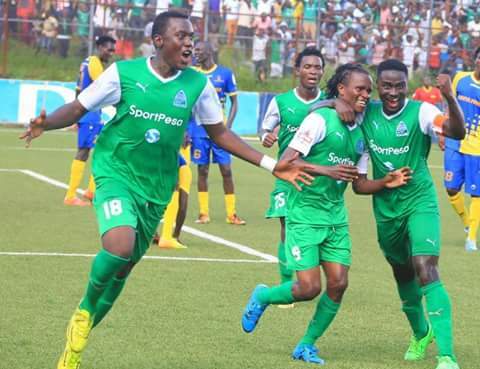 Meanwhile Gor Mahia will be looking to right the ship and put their title chase back on track as they take on Ulinzi Stars at Moi stadium Kisumu on Sunday July 2. Kogalo dropped to second place after losing to Sofapaka 2 weeks ago. Coach Zedekiah Otieno will be keen to right the ship and gain the confidence of fans. Gor Mahia and AFC Leopards are now an election issue as the national Jubilee party has promised to fund both clubs. But one is left wondering why they have done nothing for sports in the past five years. This is likely a reaction to Sportpesa’s threat to withdraw funding from all sports in January 2018. President Uhuru Kenyatta has promised to bankroll Gor Mahia and AFC Leopards if re-elected to serve for a second term. This promise is entailed in the ruling Jubilee Party’s manifesto which was unveiled on Monday. Leopards secretary general Oscar Igaida has meanwhile welcomed this news. “This is the best news for community football clubs. If implemented, I am certain AFC Leopards can transform into a continental giant in less than two years. We have the talents, the resources to nurture them has always been a challenge,” he said. Despite boasting a wide fan-base and national appeal, AFC Leopards and Gor Mahia have over the past decade or so struggled financially to make ends meet. In between, these two giant sides have relied on handouts and fundraisers to stay afloat. The Jubilee Party manifesto doesn’t, however, indicate if these financial aid will be extended to other top teams in the hockey, rugby and cricket leagues. After having easily sidelined Nairobi Water in the round of 64, Gor Mahia will now face a sterner test as they take on Bandari in the round of 32 of the 2017 GoTV Shield. Bandari have not been an easy team for Kogalo. 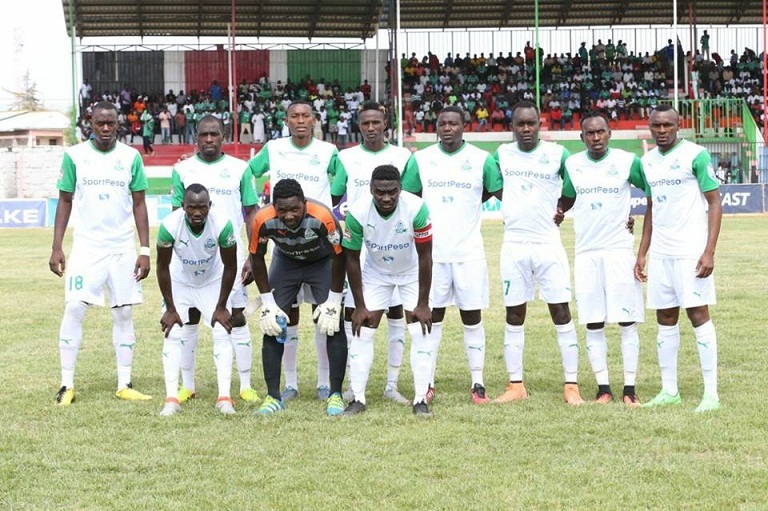 This season, Kogalo beat Bandari 2-1 at Mbaraki on April 26. However last season, Bandari opened their campaign by beating a troubled Gor Mahia side in the Supercup. Bandari will be without former Kogalo stalwart Dan Sserunkuma who has left for Morocco. However they can still count of the experience of players like Edwin Lavatsa, Enock Agwanda, Felly Mulumba and Shaban Kenga. Kogalo last lifted this trophy in 2012. Kogalo opened their 2017 GoTV shield campaign on a solid note. The match was played at Thika municipal stadium. Goals by Kenneth Muguna, George Odhiambo “Blackberry” and Wellington Ochieng were enough to give Gor Mahia a 3-1 win over Nairobi Water. Goalkeeper Fredrick Odhiambo who had a solid display at the Sportpesa Supercup was between the posts , while midfielder Jean Baptiste Mugiraneza was also in the starting line-up. It was the Watermen who surprisingly took the lead first via Robinson Shitandi. Gor Mahia replied through Kenneth Muguna. George Odhiambo then gave Kogalo a 2-1 halftime lead before Wellington Ochieng put the issue beyond doubt. It was coach Zedekiah Otieno’s second match in charge. Gor Mahia have won the Cup ten 10 times, more than any other team. Their last cup win was in 2012 when they beat Sofapaka on penalties. As of today, the last time Gor Mahia won the FKF cup was five years ago when they beat Sofapaka in a tense encounter. The teams had been evenly matched and both keepers were kept busy during the first 90 minutes despite the lack of goals. Leading Gor Mahia’s charge on that day were Kevin Omondi, Rama Salim and others. After a scoreless 90 minutes, the match went to penalties. It was here that Ivo Mapunda (and the terrible towel) created his defining moment by saving the first two penalties. The terrible towel probably made Humphrey Mieno nervous that he fired his penalty overboard. Meanwhile Ivan Anguyo, Moses Odhiambo “Dube” and Rama Salim calmly slotted their penalties to give Kogalo the trophy for the tenth time. Gor Mahia’s lucrative sponsorship with betting company Sportpesa may be coming to an end shortly. Interestingly, Sportpesa haven’t said anything about withdrawing their sponsorship of foreign teams which include teams in the UK and in Tanzania. Giant gaming firm SportPesa has given notice to withdraw all sponsorship arrangements with its sporting partners from next year. This announcement was made by the firm’s CEO Captain Ronald Karauri via Twitter on Friday. “As @SportPesa we will be giving notice to clubs and unions that from January 1 we will withdraw all sponsorship,” Karauri tweeted. The development follows the government’s decision to impose a 35 per cent tax on net profits accrued by betting and gaming firms. When the notice comes into effect, several sporting entities in Kenya, including top football clubs AFC Leopards and Gor Mahia, the national football teams, plus the national rugby teams will be severely affected. SportPesa has pumped in an estimated Sh1 billion to Kenya’s sports industry through their various partnerships with Football Kenya Federation, Kenya Rugby Union, Kenyan Premier League, AFC Leopards, Gor Mahia, Nakuru All Stars and the Kenya Boxing Association. After a high flying performance at the inaugural Sportpesa super cup, Gor Mahia cme crashing down with a 0-2 loss to Sofapaka at Kinoru stadium Meru. Some reports suggest that the poor result was occassioned by a go-slow by players. 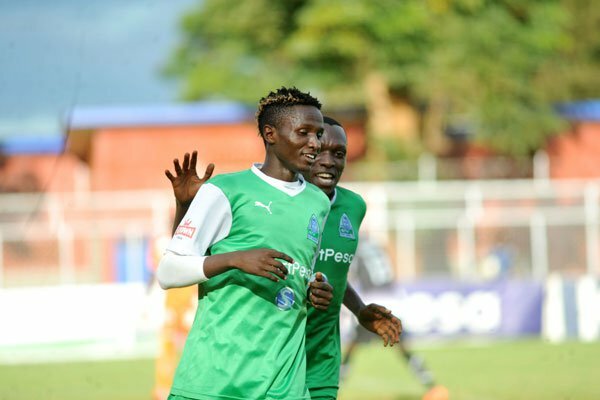 Gor Mahia’s 2-0 loss to Sofapaka at the weekend has revealed a major disconnect between the club’s playing unit and the club’s secretariat. While many believe that the defeat was a bad reaction to the departure of Brazilian coach Marcelo Ferreira, it has now emerged that the loss occasioned by underperformance by a section of the playing unit. But Gor treasurer, Sally Bolo, on Monday said the office kept only Sh1.5 million of the cash prize, adding that the money went into administrative costs. “The issue was discussed at executive level and everyone was happy with the decision to give players get 50 per cent of the amount as the office uses the other half to pay bonuses and allowances. It is the club that enters into agreements with sponsors, not players. Such money is usually considered the club’s income, and is usually channelled to paying off club expenses,” she said. The issue led to a go-slow at Gor last week as players also demanded full payment of training allowances. An emergency Executive Committee meeting held on Tuesday decided that all pending allowance be paid out. 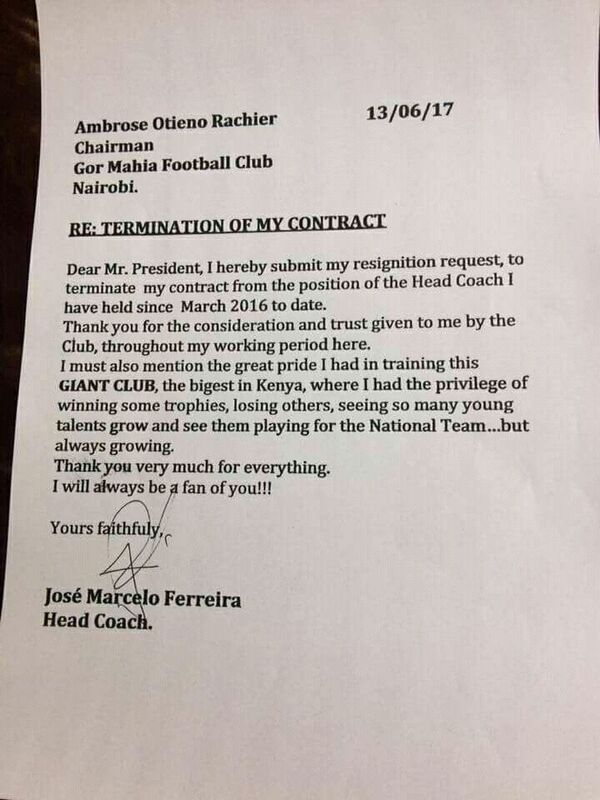 By this time, coach Marcelo Ferreira had resigned, leaving the burden of motivating players with assistant Zedekiah Otieno. Coach Zedekiah Otieno Zico, now in his third stint as head coach, regretted the loss but thinks Gor Mahia will recover. “It is unfortunate to start on a losing note. This is not the kind of result we anticipated. Sadly that is what we have,” he said to sportpesanews. Zico further indicated that the red card through his team off their rythm. “The red card we got changed the dynamics of the match completely but we have 20 matches remaining to fight for the title,” he continued. After their dominant display in Dar es Salaam Gor Mahia have been brought down to earth as they resumed their campaign on the local front. Playing in their first match with Zedekiah Otieno Zico back at helm, they went down 0-2 to Sofapaka at Kinoru stadium Meru. 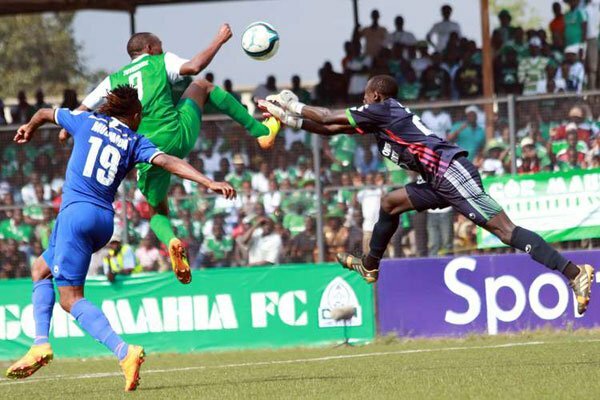 Gor Mahia suffered a humiliating 2-0 defeat to Sofapaka in a Kenyan Premier League match played on Sunday. Goals in either half from Ezekiel Okare and new signing Timothy Luda ensured that Batoto ba Mungu remained on course to for the title this season and condemed the former champions to first defeat under new coach Zedekiah ‘Zico’ Otieno. Otieno took charge of K’Ogalo following the exit of Brazilian coach Ze Maria, who has since signed for KF Tirana in Albania. The hosts started well pressurizing the opponents as early as the first five minutes, pinning them in their own half, and it was no surprise when they won a free-kick in a promising area inside six minutes, but Hillary Echesa could not hit the target. It was not a concern though as it proved two minutes later, Gor Mahia defense was caught napping and Okore did well to get on the end of the ball and put it past Boniface Oluoch. In the 22nd minute, Timothy Otieno tried to get the ball past goalkeeper Mathias Kigonya, but the latter pulled a good save to deny him. It was a balanced affair after that, with both sides getting chances, but none took them. Kenneth Muguna came close with a free-kick in the 28th minute but he was unable to hit the target. With some minutes to half time, Meddie Kagere released a fierce shot that was dealt with by the opponents custodian. Gor Mahia started the second half a better side with Kagere missing a glorius opportunity to bring the team to level terms. It was a costly miss for him as it proved in the 50th minute. Timothy Luda took advantage of a rebound ball to double the advantage. Seven minutes later, the former Thika United man failed to hit the target with only Oluoch to beat, as Gor Mahia chased shadows. Not even the introduction of Jacques Tuyisenge could change things as Sofapaka dictated the proceedings. Things got worse for the former champions with eighteen minutes to go as captain Musa Mohammed was sent off for a second bookable offence. It was a deserved victory for Sofapaka, who are aiming at challenging for the title this season. Sofapaka XI: Mathias Kigonya (GK), Jonathan Mugabi, Rodgers Aloro, Willis Ouma, Wesley Onguso, Mohamed Kilume, Hillary Echesa (c), Ali Feni, Timothy Luda, Ezekiel Okare, Umar Kasumba. Subs: Reuben Juma (GK), Kennedy Oduor, Samuel Mutiria, Morven Otinya, Meshack Karani, Maurice Odipo, Michael Oduor. 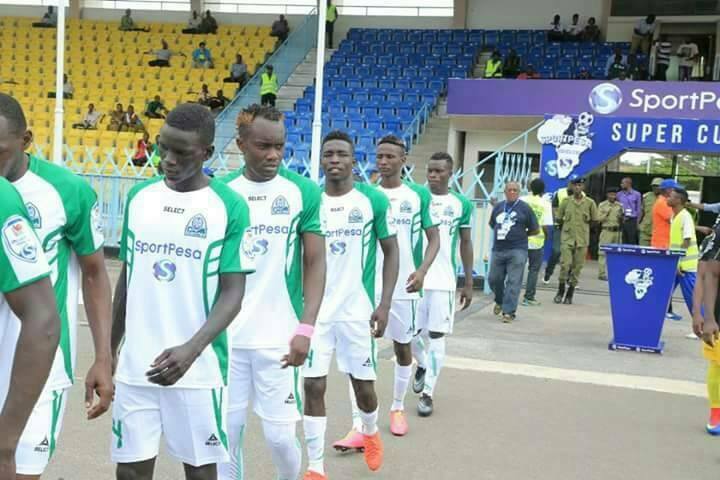 Gor Mahia: Boniface Oluoch, Wafula Innocent, Shakava Haron, Musa Mohammed, Wendo Ernest, Muguna Kenneth, Walusimbi Geoffrey, Otieno Timothy, Meddie Kagere and Mike Simiyu. Subs: Odhiambo Fredrick, Onyango Joash, Otieno Philemon, Maloba Oliver, John Ndirangu, Baptiste Jean and Tuyisenge Jacques. It was not immediately clear where Ze Maria’s next destination is but it is believed he has received offers from Europe and Asia. He is leaving alongside his Brazillian assistant Marco Aurelio while fitness trainer Sandro Fantoni will remain at the club. While in his resignation letter he did not disclose the real reason behind his shock resignation, sources within the club confided in us that the club could not meet the demands he had placed on the table over the last few months. The coach seems to have planned his exit while on a two week holiday in his native Brazil during the brief KPL break. He returned last Thursday and traveled to Tanzania on Saturday where he was on the bench when Gor Mahia thrashed AFC Leopards 3-0 to win the inaugural Sportpesa Supercup. “Yes, the coach has handed me his resignation letter. He does not state the real reason behind his resignation,” Rachier said. “We have no option but to accept his decision. He has been a loyal servant to the club since he took over and we wish him well wherever he is headed to,” added the Gor chairman. Rachier however stated they had never been bad blood between the club management and the coach who won bronze with Brazil in the 1996 Olympic games in Atlanta, USA. 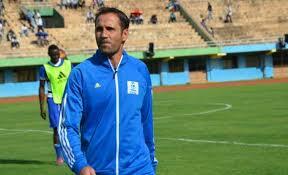 Ze Maria expressed gratitude for working at Gor Mahia, which he termed as the biggest club in the country. But our source says there has been unease with some players openly criticising the coach over his high handedness. Midfielder Collins Okoth “Gatusso” has been sidelined for the better part of the season after falling out with the coach while defender Haron Shakava was omitted from the line up in the game against Posta Rangers for questioning him. “For the better part of this year, he has been demanding salary increment yet we have a contract that clearly stipulates when his salary is supposed to be increased,” an official of the club intimated adding that the coach also enjoyed a good package in house allowance and winning bonus. In his stint as coach, Ze Maria guided Gor Mahia to a trophy less season last year after the club had won three consecutive league titles. Gor lost the league title to Tusker and the Top Eight trophy to Muhoroni Youth and were also tossed out of the GOTv Shield by Nzoia United. But he managed to take the 15 time champions off relegation zone to finishing second in the league and he leaves the club at the top of the table this season. Meanwhile, the club has said assistant coach Zedekiah Otieno will be in charge of the technical bench as they shop around for Ze Maria’s replacement.